Goodbye unnecessary paperwork, frustrating rework and process unknowns. Hello improved quality and control, increased customer satisfaction and improved bottom line. Special Processing shops, especially those serving aerospace customers, are subject to a vast number of audits and the oversight of Nadcap. This is because the customer wants (and needs) assurance that the work was done according to specifications. Knowing the “what they did and when they did it” is a requirement. But signing the paperwork is expensive and does not answer the question. 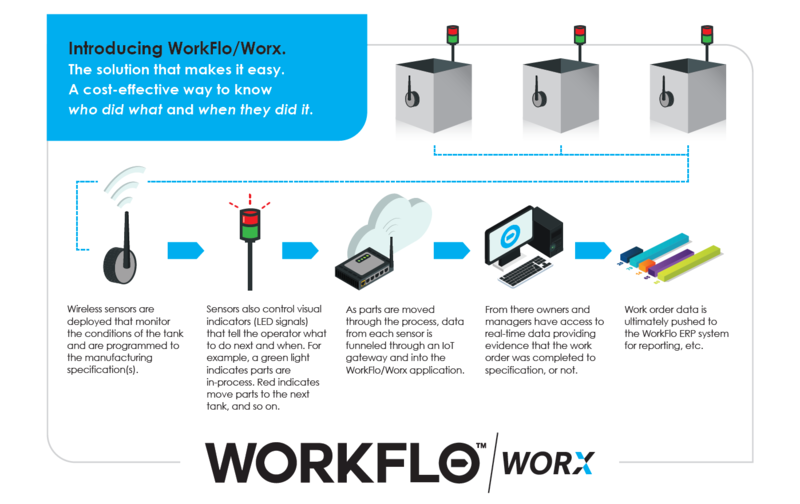 WorkFlo is not a one-size-fits-all software. We have a variety of deployment and payment options so our clients have what is necessary to run their businesses. So let us help you decide. Contact us to start discussing what you need.